1. The boat is about to enter the marina berth. The skipper slows the boat enough to maintain steerage and steers the boat so that it will enter about 300 mm to 600 mm away from the marina finger. Slow is best. The Cleat Captor operator stands ahead of the vessel's midships cleat ready to deploy the Cleat Captor to the OUTER marina cleat. 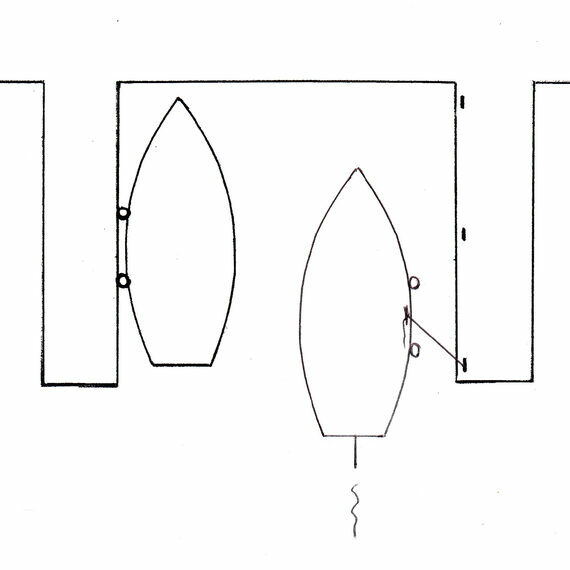 The Cleat Captor line has been cleated off to the midships cleat at such a length that will ensure that the boat cannot hit the main marina walkway. It does not matter if the boat stern overhangs the finger as this can easily be fixed when crew are ashore. 2. As the boat enters the berth, the skipper slows the boat further which may cause the boat to drift a bit further away from the marina finger. It may be useful to enter the berth in neutral to avoid prop walk. As the OUTER marina cleat comes alongside the Cleat Captor operator, the Cleat Captor is deployed to capture the cleat. The operator signals the skipper to advise that the line has been secured. 3. As the boat continues to move forward, the mooring line will tighten. Excessive speed risks tearing the cleats off the boat or marina. It may be necessary to intermittently select neutral or even reverse in order to achieve an appropriate speed. The mooring line supplied with Cleat Captors employs rope that has a breaking strain of 1.25 Tonnes with 30% elongation. (A higher breaking strain rope is offered as an extra cost option for heavy vessels). 4. 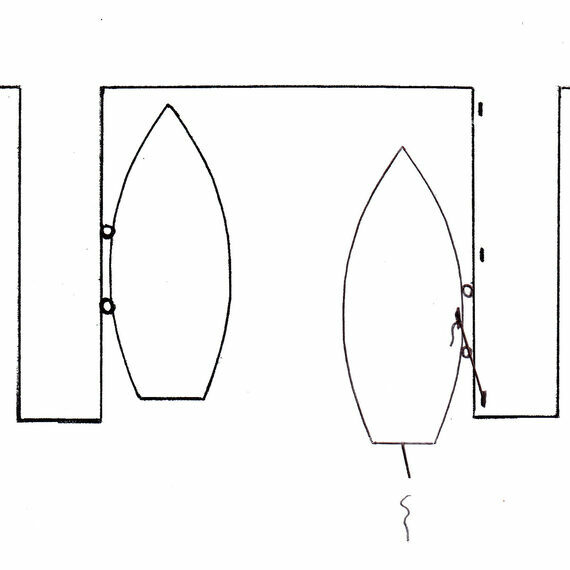 The boat strains against the mooring line and slows while moving alongside the marina finger on its fenders. The skipper holds the boat against the finger at minimum engine speed in forward gear while judiciously applying sufficient helm to maintain the boat in a proper attitude so that crew can then safely step off, move the boat to its proper position in the berth and secure all mooring lines. Everyone can now heave a sigh of relief. 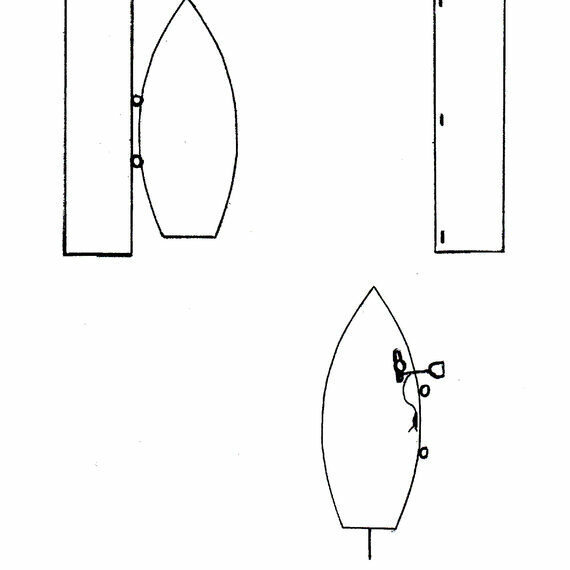 The optimum midships cleat point or strong point position for best boat attitude varies according to the particular vessel's design and can be found by experimentation. 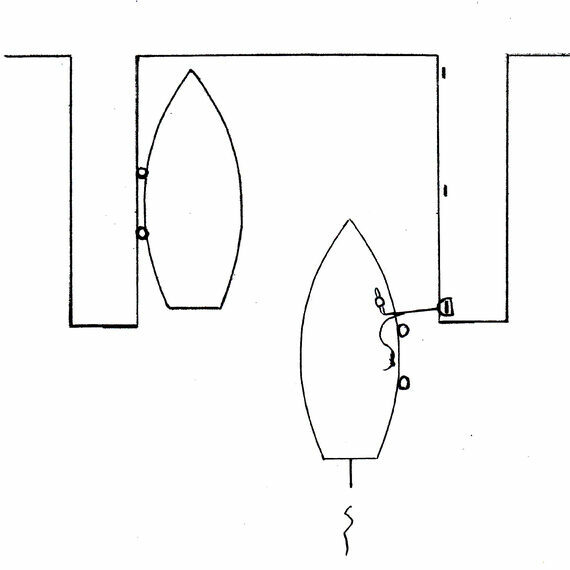 In the unlikely event that the operator fails to secure to the cleat (step 2), the boat should be immediately reversed out for another try. It should be noted that Cleat Captors can also be used to secure a line over moderately sized mooring pylons. Take good care of your mooring line by stowing it out of the weather. Check the condition of the line before use and replace it if it is damaged. IF IN DOUBT, THROW IT OUT!